Curious about how Dentures can help you? We offer free, in-depth consultations to help you identify the denture solution that will suit your needs and your budget! Tracy is a very professional and caring Denturist. I highly recommend her services which are very reasonably priced. I would like to really thank you for your excellent work, patience and perseverance. My denture now feels like I’ve had it for years (It's really comfortable). It has been great getting to know you! With great appreciation. Thank you so much, you are a real artist and a life changer! I am so happy with my new smile. I can't put the feeling into words that adequately express my gratitude when I smile at myself in the mirror. I will forever be grateful for your career choice! I was most impressed with the perfect fit of my new whole plate, no adjustments or come backs required and just over a year later, no concerns. Many thanks. I have and will continue to recommend your business. You are wonderfully professional yet show empathy for your clients...a special gift and part of your charm. Thank you for your patience and understanding. So far so good. I love my teeth-they are very pretty, feel quite natural and they are very secure. Thank you for all your kind attention. I just want to thank you so much for making my new teeth. They are so nice I really like them and you were so nice to make them for me quickly so I could eat again. You are a real angel! 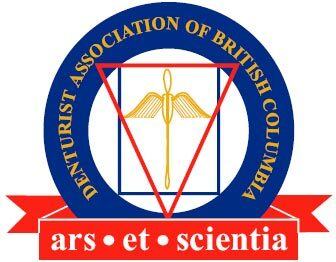 Our owner, Tracy Merkley, has over 30 years’ experience revitalizing smiles with dentures. The loss of teeth can impact a person’s confidence by aging the look of their face and causes challenges with speaking and eating. The constant changes that happen in the oral environment need to be addressed continuously as the teeth wear away and the bone shrinks. Tracy is happy to assess and advise with a complementary consultation. A set of dentures won’t just assist your oral health and help to improve your confidence; they can change your day-to-day life in a tremendously beneficial way! To learn more about our services, or to schedule the free consultation, please don’t hesitate to give us a call! Our complete precision dentures incorporate jaw movement analysis into the fabrication process leading to a precision fit. Partial dentures can reduce jaw resorption, helping to maintain your face’s vitality and your smile’s brilliance. Don’t miss a day without a full smile with our immediate dentures; they can be worn immediately following tooth extraction.